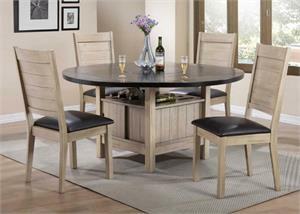 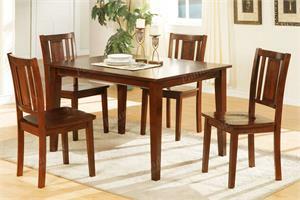 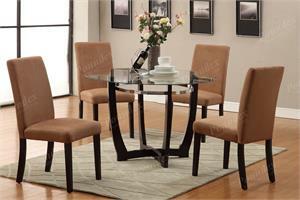 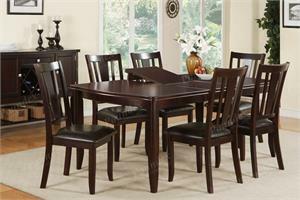 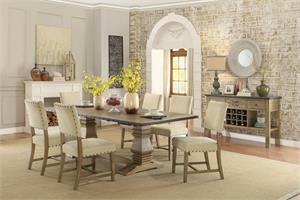 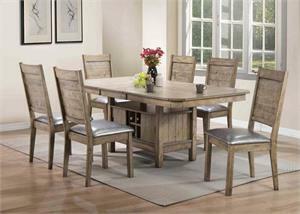 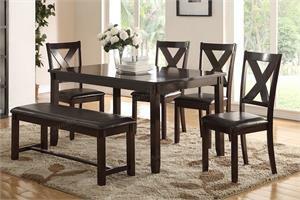 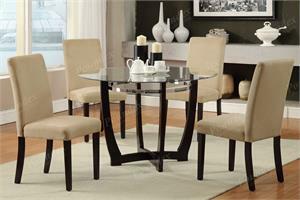 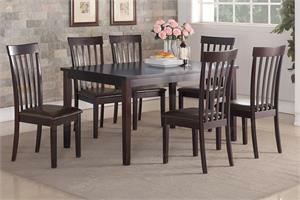 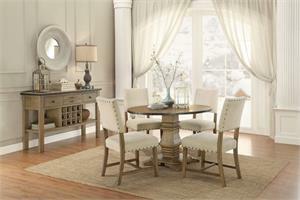 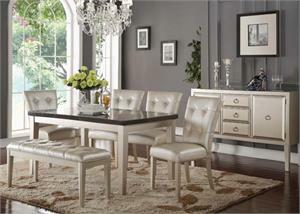 Dare to be daring with this bold 5-piece dining set made up of contrastingly handsome structure for your home. 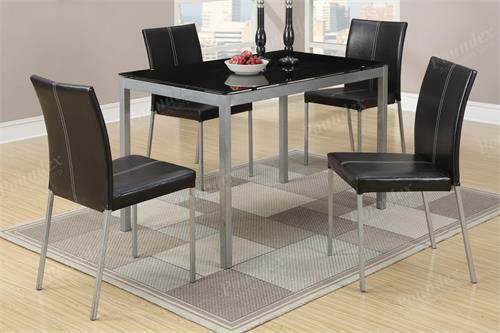 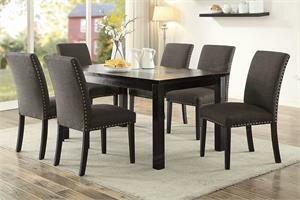 Topped by a black glass table top, its gray frame and support couples perfectly with the simple black faux leather upholstered chairs featuring light accent stitching on the back supports. 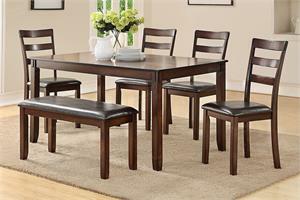 Sold only as a 5 piece set dining.